As expected, Microsoft's Surface Headphones are no available for pre-order in the United States. If you want a pair, you can place your order now, but know that the headphones will ship by November 19. As far as the price goes, Microsoft is selling the Surface Headphones for $350 via its online store, a decent price considering what they have to offer. These on-ear headphones should provide up to 15 hours of battery life with music playback over Bluetooth, ANC on, and hands-free Cortana enabled. Another strong point mentioned by Microsoft is the fact that they fully charge in less than 2 hours. The Surface Headphones are compatible with iOS and Android devices, but you can also use them with Windows 10 PCs or MacOS. 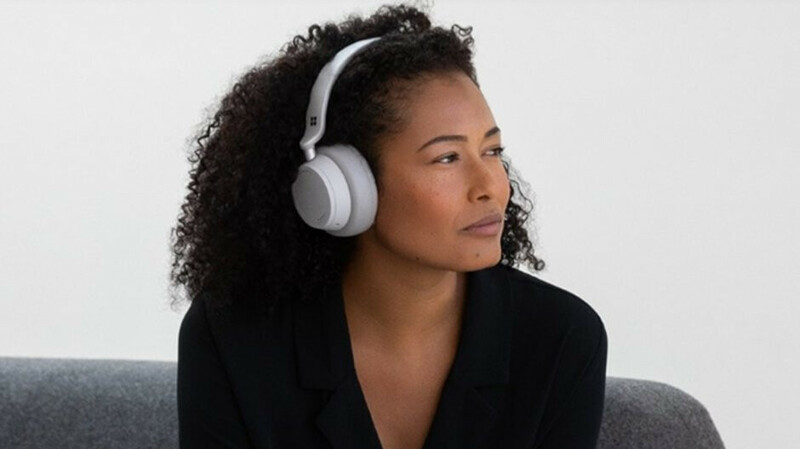 Of course, they feature active noise cancellation, Bluetooth connectivity, and on-ear touch controls. Speaking of touch controls, there's a volume dial on the right ear and a Noise Cancellation on the left year. The headphones come with USB-C and 3.5mm audio connectors and feature an USB cable in the retail package if you don't want to connect them via Bluetooth.